Adrian founded the award-winning ICT company, Modern Communications, which he sold in 2014 to embark on his next venture Prime Networks, which he helped re-value before exiting with its future guaranteed. As a media commentator on telecoms and IT, Adrian is now regularly asked to provide market insight on TV and Radio. Chris Harris has drawn on his experience in sales and marketing to provide leadership and direction for organisations in the telecoms sector. Most recently he was managing director of application developer Xarios Technologies but is perhaps best known for successfully introducing several overseas suppliers to the UK market- most notably Inter-Tel who were purchased by Mitel networks in 2007. Crissi Williams is CEO of the Institute of Telecommunications Professionals. Since joining the ITP in 2008, Crissi has worked across several functions – most recently as Head of Operations. With a background in recruitment, Crissi was instrumental in launching the ITP’s successful apprenticeship scheme. 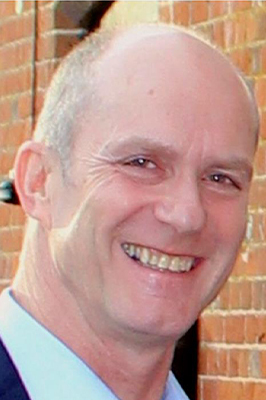 Derek worked in the ICT sector for well over 20 years and founded Totem Consulting Group in 2010 to help businesses develop their strategies to provide real business growth and profitability. Derek has held senior global Business Development and Marketing board level and NED roles in Technology and Retail Businesses such as NEC, Alcatel-Lucent, THUS Telecom, Demon Internet, The Kingfisher Group and B&Q. Duncan was ‘one of the few’ that initiated channel development within the telco industry. As a Channel Manager at Mercury Communications he introduced revenue share and enhanced remuneration for the third-party sales of network services and at THUS launched the pivotal 'Route to resale' initiative for the dealer community. More recently, Duncan has run his own consultancy and has sat on a number of technology boards in executive and non-executive roles. From 1979 to 1994 Frank was the British Athletics Federation's Director of Coaching, where he was widely acknowledged as and remains one of the outstanding sports coaches and coach mentors in the world. Frank led the British Athletics team into its ‘golden era’ with Olympic gold medallists such as Daley Thompson, Steve Ovett and Sebastian Coe. He is now strategic planning consultant for the England Rugby Leadership team preparing for the World Cup in Japan. John has been in front end technology sales since 1980 working for Lloyds Bowmaker, Altus Group and Contec before co-founding resellers Essential Group and Absolute Voice & Data. He has since become a partner at sales growth and leadership company Believe alongside Kevin Moorhouse. A global channel professional with over 20 years’ experience in the IT/Telecoms sector, Sarah has a real passion for technology, marketing and driving the diversity agenda as the UK lead for The WIT Network. She is currently GM at ResourceIT, an award-winning B2B technology channel marketing consultancy and has spent her career working across the industry for leading technology vendors in roles spanning the UK, EMEA and globally. Tim Stone has over two decades of experience in leadership, marketing, product management, strategy and business development in the UC &C industry. 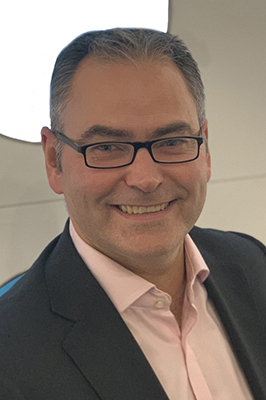 Previously having held VP and Marketing Director roles at Cisco and Polycom for EMEA & Globally, he also held senior roles at Lucent technologies and SDX Business Systems. Tim is recognised as a leader in B2B marketing, and respected ‘voice’ in the collaboration technology industry in Europe.